De Javasche Bank note issues, January 1864 – April 1895, printed by Joh. Enschede en Zn. 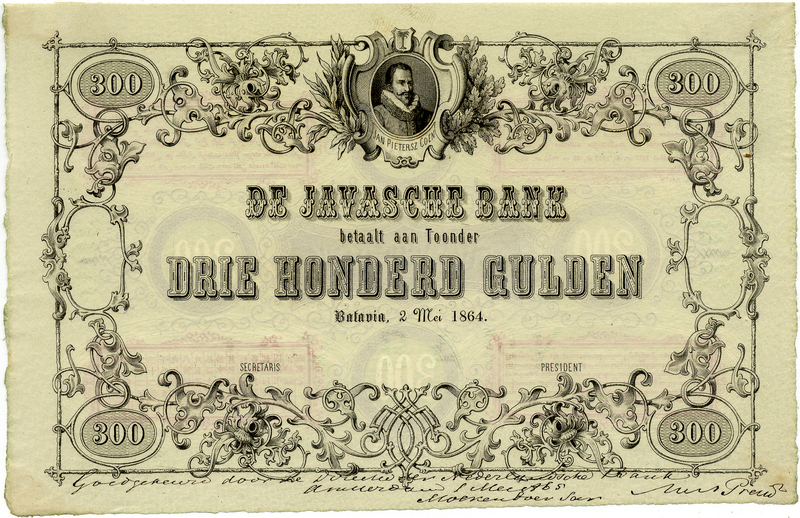 In 1863, De Javasche Bank, established in 1828, was the circulation bank of the Netherlands Indies. One would expect it to be a well-established colonial institution, however the opposite is true. Research at the archives of the printer Joh. Enschede en Zonen at the Museum Enschedé in Haarlem, the Netherlands, shows a completely different picture. The board and especially the President of De Javasche Bank were directly involved in detail in all operational matters related to the design and ordering of their banknotes.